Arc Flash Analytic version 6.0 (AFA v6.0) software program has been developed based on IEEE 1584 2nd Edition year 2018 Guide for Performing Arc-Flash Hazard Calculations as an easy to use and comprehensive tool for calculating arc incident energy and arc flash boundary, for determining limited, restricted, prohibited approach boundaries and hazard risk category required by NEC / CEC and OSHA when work is to be performed on or near the energized equipment. Also, the program allows one to calculate initial pressure generated by arc blast and arc flash TNT (TriNitroToluen) equivalent. 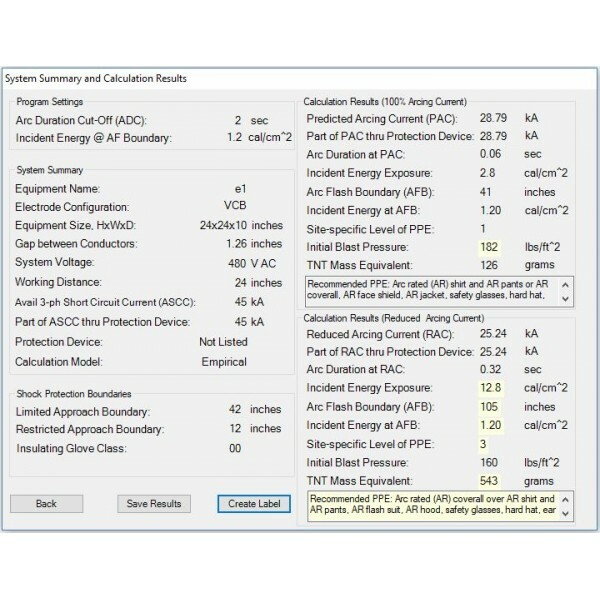 Detailed arc flash analysis using the IEEE 1584 equations and the Lee method. There are alternative calculation methods for system parameters which fall outside the range of the model. For cases with vertical electrodes in open air (VOA electrode configuration) where voltage is over 15 kV or gap between conductors is more than 254 mm. 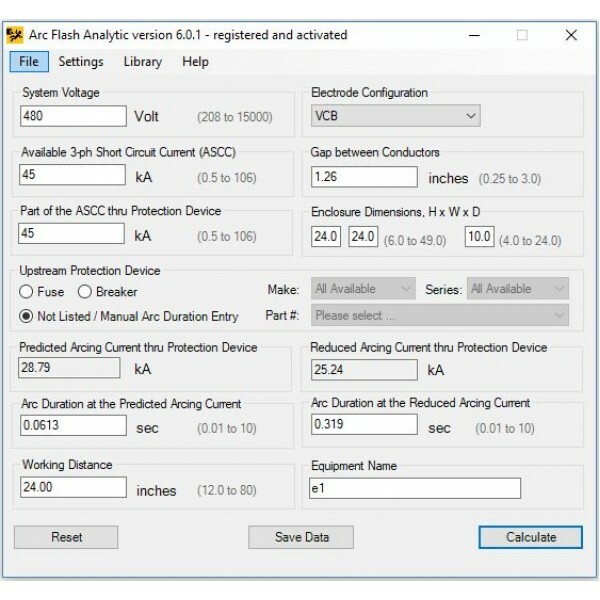 (10 inches), the theoretically derived Lee method can be applied and it is implemented in Arc Flash Analytic version 6.0. The Lee method based upon Lee’s paper, is applicable for three-phase systems in open air substations, and open air transmission and distribution systems. This model is intended for applications where faults will escalate to three-phase faults. Where this is not possible or likely, this model will give a conservative result. IEEE 1584 empirical model does not cover single-phase systems. 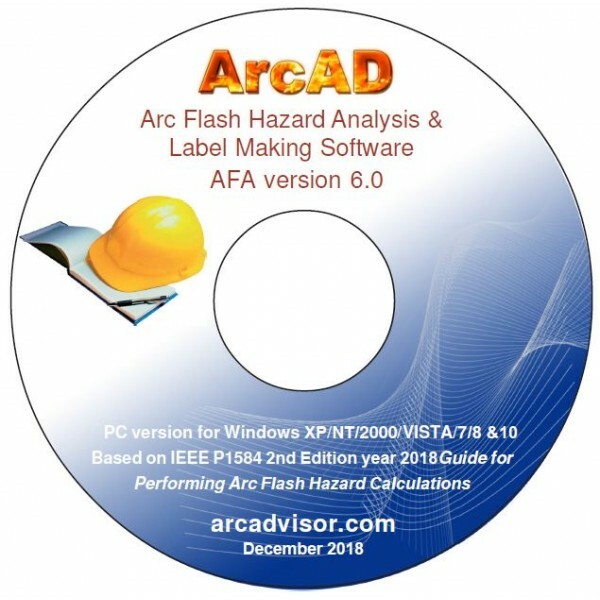 Arc-flash incident energy testing for single-phase systems has not been researched with enough detail to determine a method for estimating the incident energy. Single-phase systems can be analyzed by using the single-phase bolted fault current to determine the single-phase arcing current. The voltage of the single-phase system, (i.e. line-to-line, line-to-ground, center tap voltage, etc. ), can be used to determine the arcing current. 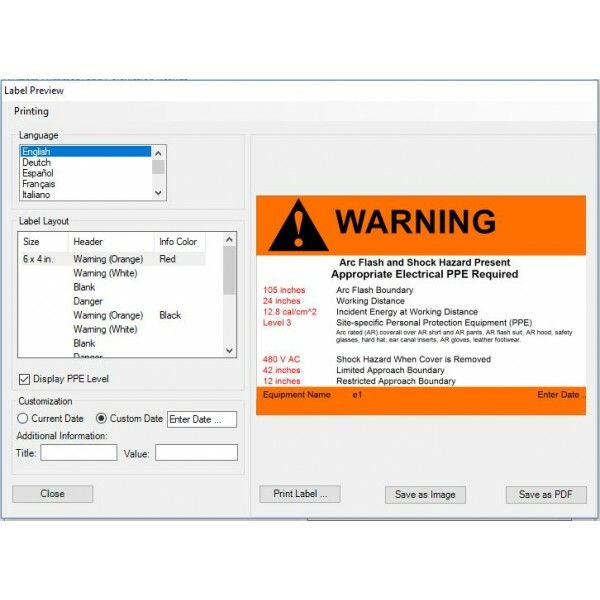 The arcing current can then be used to find the protective device opening time and incident energy by using the three-phase equations provided in IEEE 1584 2nd edition and implemented in Arc Flash Analytic version 6.0 software program. The incident energy result is expected to be conservative . AFA v6.0 was written in C# programming language, best viewed as a descendant of both C++ and Java languages. The language was developed by Microsoft within its .NET initiative and later approved as a standard by ECMA (ECMA-334) and ISO (ISO/IEC 23270:2006). SCA V1.0 requires Microsoft .NET Framework Version 3.5 or higher to run. If you experience problems running AFA v6.0 once you install it on your PC, check please if you have .NET Framework Version 3.5 or higher installed on your PC system. To see which versions are installed, view the %WINDIR%\Microsoft.NET\Framework directory. (You should also view the Framework 64 directory on a 64-bit computer, which can have 32 or 64-bit versions installed.) Each version of the .NET Framework has a directory, and the first two digits of the directory name identify the .NET Framework version; for example: v1.1.4322 for the .NET Framework 1.1, v3.5 for the .NET Framework 3.5, and so on. If there is no Microsoft .NET framework installed on your system, or the installed .NET framework version is less than 3.5, please download .NET Framework Version 3.5 link to update your system. Should you encounter any problem installing or running AFA v6.0, contact us and we will assist you in identifying and resolving the problem.